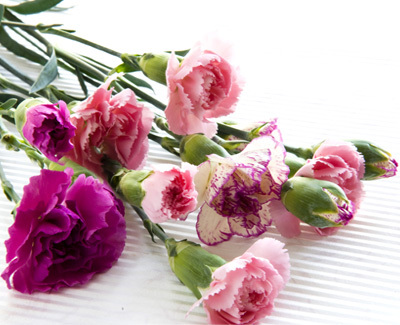 Mini Carnations are a classic flower with elegant circular blooms, that blossom ruffled layered petals. They offer multiple blooms per stem, making our miniature Carnations look fuller. These beauties will make your wedding bouquets and arrangements stand out. Fresh Mini Carnations are shipped to your door at wholesale rates.